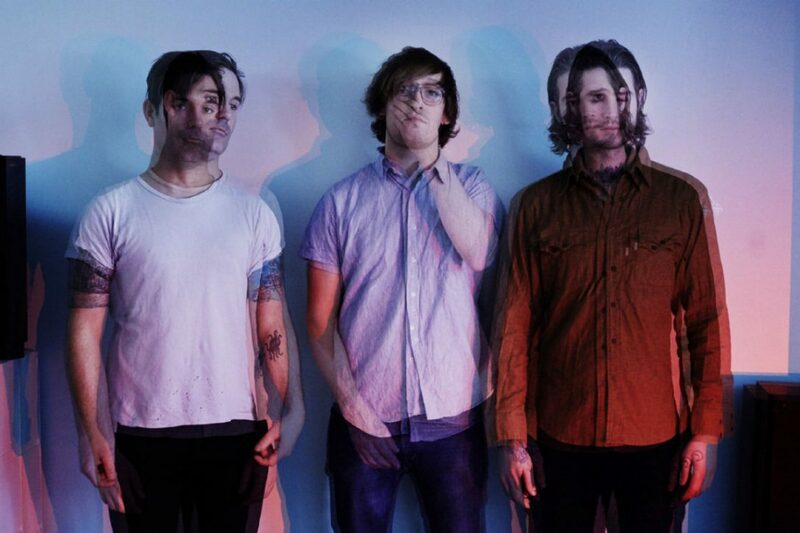 METZ, one of the most exciting noise/punk rock bands to come out of Canada in the last decade, will once again return to Portugal this month for shows in Lisbon and Porto, this time to promote their most recent studio effort and third Sub Pop release “Strange Peace”. Those who have seen them live, either at festivals like Primavera Sound or small, intimate venues like Plano B, know how intense these guys are on stage, so we can expect another memorable evening. With their highly anticipated return only a few days away, we chatted with vocalist/guitarist Alex Edkins about last year's album , the current tour, stories from the road, the music scene in Ottawa and many more. Check it out! Let’s start by discussing your most recent album. I read you tracked fourteen songs in four days. What do you think led to that confidence and inspiration? I think we are getting more comfortable in our own skin. We are less concerned with pleasing everyone and only care about making music that we love. After years of playing music together you can’t help but feel more accomplished and confident in your abilities. I think that confidence allowed us to go in new musical directions. Your records have always been intense, but “Strange Peace” is, in my opinion, the one that truly captures the raw energy of your performances. Is this what you were looking for, production wise, and is that the reason you chose to finally work with Steve Albini? Yes. When you work with Steve it is a very straightforward approach. It is fast and there is little afterthought involved. He records your band live off the floor and captures the sound of the room. It was a new experience for us and one that we really enjoyed. It changed the way I think of recording music. I think his methodology is smart and at the end of the day it worked very well for our band. When it came out you said “Strange Peace” was much more diverse and varied than anything you had done before. Was this a case of wanting to do something slightly different while retaining your artistic identity or did things evolve naturally? It was both. 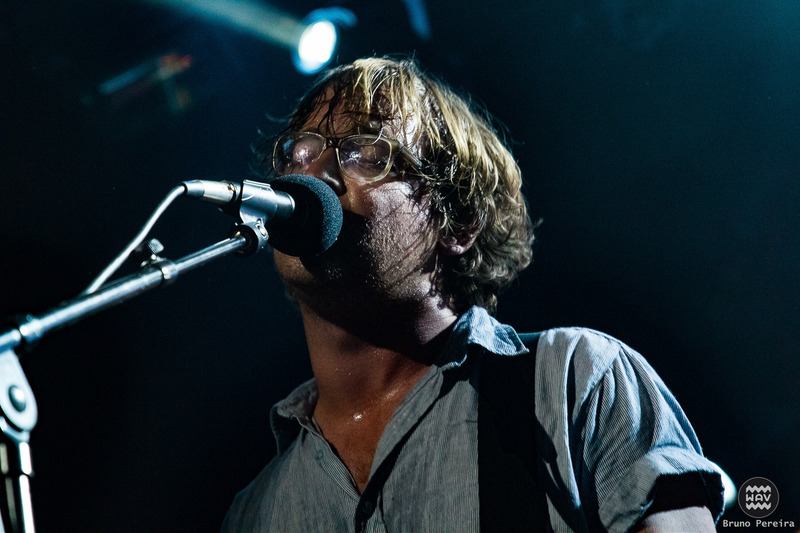 METZ has always been a gradual evolution. We are constantly changing and striving to go further. On “Strange Peace” there was a very real urge to cross certain stylistic lines and push our boundaries. Our musical interests and passions are much more diverse than most people assume. We are beginning to feel comfortable showing it and consciously did that on the album. Repetition is the enemy, constant growth and artistic freedom is the goal. The lyrics on this album are about uncertainty and admitting your mistakes and fears. Was the process of writing down your thoughts almost therapeutic then? Did you feel you had to get certain things off your chest? Absolutely! I’ve always felt that writing songs/lyrics is my way of “going to the shrink”. It helps me exorcise my thoughts and feelings. I find it incredibly difficult to share such personal things with the world but ultimately it's very rewarding and liberating. More than six months have passed since “Strange Peace” was released. Looking back, are you still as proud as you were then, especially after playing these songs live several times? I’m proud of everything we’ve released, but I’m always looking to the future. We are never ever satisfied. Playing the new material live always seems to give new meaning and life to the songs. Seeing the crowd react to and sing the new songs has been an amazing thrill. You can see how the music affects the people and connects with them on a very physical level. Being on tour isn’t always easy: one is constantly traveling, doing interviews, etc. What do you do to keep yourself entertained when you have free time? I try to read as much as possible. Physical activity is also very important. Touring is mostly waiting, waiting and more waiting. Everything revolves around your one hour on stage and the rest can really beat you down. If I can keep my mind busy and stretch my body or go for a run it makes a big difference. Also, staying in touch with my family at home is very important and can immediately put me in a great mood. Do you have any cool and interesting road stories you could share with us? One time our tour manager/driver got stuck in a tunnel because the van was too tall. He literally jammed the van in a tunnel and held up traffic for hours(laughs). In April you return to Portugal once again. Having been here quite a few times, how is your relationship with the Portuguese audience and what can we expect from your upcoming shows? We love Portugal, I always enjoy wild crowds and people who love rock’n’roll music. One of our first shows there was Porto Primavera Sound. It was a show we will always cherish. You were deeply influenced by the underground music scene in Ottawa. Do you feel it’s still as dynamic as it used to be back in your day? I don’t live in Ottawa anymore but I think there is still a very strong and vibrant music scene there. Many of the people that I grew up with are still living there and are involved in booking shows, playing in bands and organizing festivals. What bands have you been listening to lately? What do you recommend? I like the new The Skull Defekts and Suuns records. Also a fan of Kikagaku Moyo and Converge.